I am also a newmember of the Celtic Rose Bloggers and am thankful for another opportunity to share my love of all things Scottish with you. In fact I just returned from volunteering along with my family at the New Hampshire Highland Games in northern New England. The enemy, meanwhile, landed on shore. Evidently, they covered the cave’s entrance and ceiling vent with timbers and thatch, and then started fires. Thick smoke swept into the cave and choked the life from everyone he knew. The well-known voice of the witch, Agatah, echoed off the wet cavern walls. It momentarily pulled his attention from Brianna. Where had Brianna headed? Did she run straight toward the crude city of tents, lashed one upon another, which sprung near a wide stretch of beach? Had she made it back safely? With a powerful beat of his wings, he launched his body toward the muddy ground below his perch and landed with ease. His eyes widened as he scanned the bright entrance of the cave. While his talons sank into the mud, the boom of angry waves surged with a loud whoosh and receded with a whimper. As his gaze followed her footprints in the mud, he inhaled her scent and exhaled smoke through both whiskered nostrils. Remnants of her essence, where her delicate fingertips once scraped along the cavern wall, shimmered in the low light. When he recalled the taste of her lips and the flush of her skin, pleasure shot straight to his groin. “Silly dragon.” The unwelcome voice oozed venom. Sharp fangs pricked the corners of his lips. A growl rose, his body tensed, and he closed his eyes. His ears rang with the echoes of a long dead witch who spent her afterlife haunting his every move. If you want the reallow-down on me as an author, check out a recent interview at www.kate-hill.com/blog. 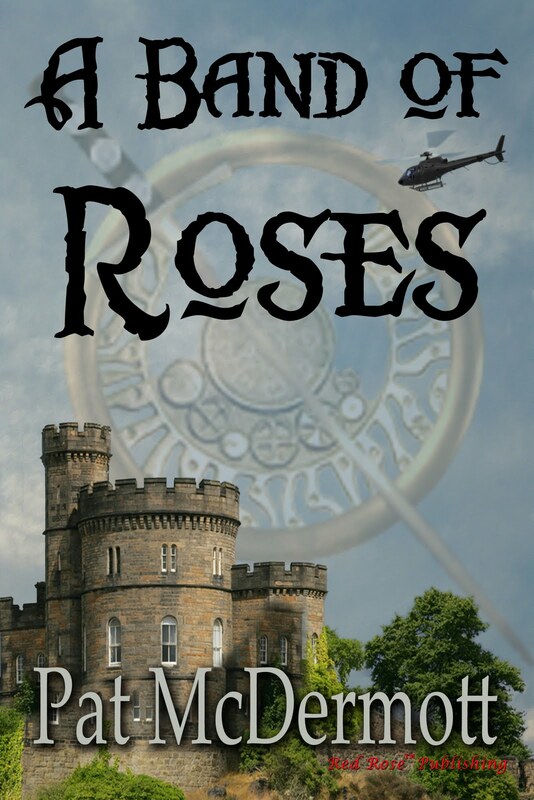 I look forward to posting more excerpts and reading postings by other Celtic Rose Bloggers. Witches, Kelpies and Fairies, Oh My! My first introduction to the Otherworld, as Highlanders call it, came when I joined the Brownies. My Girl Scout handbook included a tale that explained who brownies were. Little did I realize that many years later, I would immerse myself in this strange world in order to better understand my Scottish characters. I invite you to step into the unknown as we explore the supernatural Scottish Highlands. The Scots believed the creatures and forces of the Otherworld were real, and sometimes more menacing than one’s neighbors. In this workshop you’ll learn about the differences between Highland and Lowland witches; second sight and seers; water creatures; portents of death; the world of fairies and elves; other supernatural beings; and ghosts. Lessons are enhanced with a resource bibliography and excerpts from my novel, The Scottish Thistle, where I incorporated the Otherworld into this tale of the Rising of 1745. We will also discuss whether you believe and which elements of the Otherworld you would weave into your Scottish stories. At the end of the workshop, I offer to edit a chapter from each participant’s manuscript involving the supernatural. Cindy Vallar, Associate Editor of Industry for Solander, writes the “Red Pencil” column where she compares a selection from an author’s published novel with an early draft of that work. 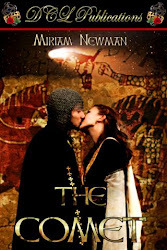 She also reviews for the Historical Novel Society’s journal, Historical Novels Review. She is a freelance editor, the editor of Pirates and Privateers, and the author of The Scottish Thistle, her debut historical novel about the Camerons and MacGregors during Scotland’s Rising of 1745, and Odin’s Stone, a romantic short story of how the Lord of the Isles settled the medieval feud between the MacKinnons and MacLeans on the Isle of Skye. She belongs to the Historical Novel Society, the Red River Branch of the Clan Cameron Association, the Scottish Clans of North Texas, and the National Maritime Historical Society. In 2005 at the Clan Cameron North American Rally, Cindy received the first Friend of Clan Cameron Award. Prior to becoming an author and editor, she was a school librarian for twenty years, and she also taught computers and social studies. She invites you to visit her award-winning web site, Thistles & Pirates (http://www.cindyvallar.com/), to learn more. For more information, you may contact Celtic Hearts Education Coordinator, Kerri Nelson at celtickerri@yahoo.com. Hi everyone! My name is Sarah Hoss and I am new to The Celtic Rose. Please let me take a moment and tell you a little bit about myself. I am 37, a wife to a wonderful man and mom to 3 great kids. I am a pre-published author. I have one historical romance/ time travel manuscript finished entitled Highland Dreams. 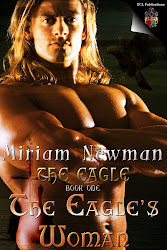 I am also working on a second historical romance manuscript which is about the brother of the hero in HD. I am also working on a short contemporary romance novella. 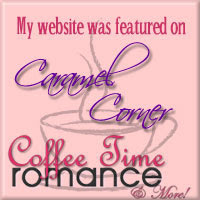 You can also find me on Facebook under Sarah Hoss, Author; my blog at www.heart-of-romance.blogspot.com and www.newkidonthewritersblock.blogspot.com. I want to say "Thank you!" to Miriam for inviting me join you here and post. I am looking forward to hearing from you! One of the most revered sites in Ireland is the famous Rock of Cashel, whose name is derived from the Gaelic "caiseal" or fortress. 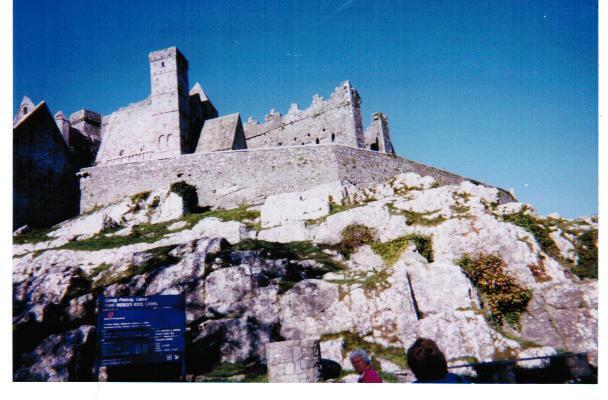 It has doubled as both fortress and monastery since its inception in 432 A.D. Rising 200 feet above a bowl-shaped valley, Cashel affords an unrivaled view of large portions of County Tipperary. Wandering through the ruins in 2005, I could especially appreciate the view when a tour guide pointed out some round stone towers for which I could not imagine any use until he clarified. Solid edifices with narrow slit openings approximately twenty feet off the ground, they appeared impregnable, as indeed they were. During the days of the Viking invasions when monasteries were targeted by raiders, the monks would retreat to those towers. Warned by lookouts scouting the incomparable open view of the valley, they would ascend to the towers, pulling up rope ladders behind them, and simply outwait marauders. One notable ruin inside the fortress is Cormac's Chapel, built in 1127 by Cormac MacCarthy, King of Desmond. Another is St. Patrick's Cathedral, dating from the 13th century, in which St. Patrick is said to have baptized King Aegnus, making him the first Christian ruler of Ireland. It was during that baptism that he used the shamrock to demonstrate to still-pagan Irish the concept of the Holy Trinity...and, as we know, the shamrock remains Ireland's national symbol to this day. The origin of the Rock itself is less subject to archeological truth. Word has it, though, that the devil in a fit of temper one day flew over the valley, spitting out a portion of the surrounding Slieve Bloom Mountains which had impeded his progress. That gigantic mound of earth became the Rock of Cashel and the spot where he is said to have taken his mouthful is called Devil's Bite. Cashel has known every use from quiet monastery to mighty fortress and home of kings to scenes of incomparable tragedy such as the immolation of villagers who had taken refuge in the church there during invasion by Oliver Cromwell's troops. Today it is a far more peaceful scene, with the tiny village of Cashel nestled at its southern bank. Sheep--one of which stuck its nose through an opening in the ruins to check me out--wander more or less freely. An Irish Setter came to visit me there, too. It is a singular honor for one of the villagers to be buried at Cashel, and that honor is accorded to the oldest families, some of whose lineage can be traced for centuries, all linked with the fate of the Rock of Cashel. Today it is carefully preserved, with only the most necessary repairs being made to prevent further ruin, for the Irish treasure their history and thus far have mostly resisted the urge to bulldoze it. 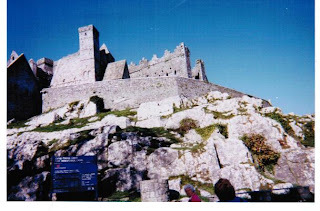 I featured Cashel in my book Confessions of the Cleaning Lady, set in both the U.S. and Ireland. I stood in the very spot where my hero Mal proposes marriage to his lady, a tiny monk's office with a lattice-work of windows and fresh flowers set out daily on a table which is the only amenity in the room. Oh, yes, and there was that sheep's face butting inside the window on the day I visited. He wasn't really that interested in me, though. He was looking at the flowers. I am both honored and delighted to smash a proverbial bottle of champagne on the hull of Miriam’s newly launched ship, The Celtic Rose. With all the Celtic-themed books out there, the idea of creating a blog to feature authors who tap Celtic myth and culture for inspiration is a truly ambitious undertaking. I’m author Pat McDermott, and my particular Celtic bug is Irish. It bit me a long time ago, courtesy of my O’Brien grandparents. I have such a treasure trove of memories of them, I often wonder if their decision to emigrate to the United States might have cheated my mother and father in a mean way. Sadly for my parents, they didn’t know their own grandparents, nor did they know the grandaunts, granduncles, and cousins who stayed behind in Ireland. Like the children of thousands of immigrants, my parents lost an entire chain of links to their heritage, and they passed those missing links to their offspring. Such gaps in family history may be one reason so many of us feel compelled to dig up our roots. The need to find something we sense we’ve lost drives us to research our family trees, visit museums, and read—or write—of bygone days. I suspect this longing to understand the past has helped fuel the tremendous popularity of time travel novels. Reading them is another way to connect with the past, one that safely allows a mysterious ancestor to become the bold pirate queen or the claymore-wielding Highlander we imagined him or her to be. 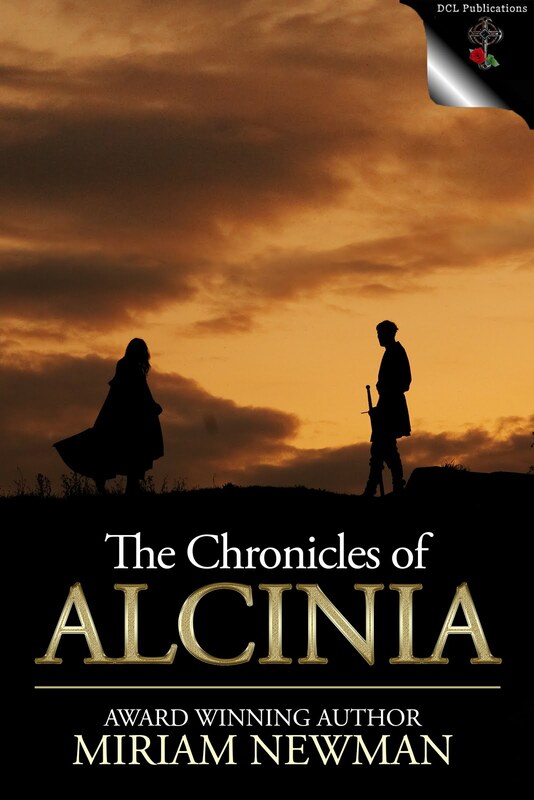 Writing such novels is a way to manipulate the past, to invent new ancestors to fill in the blanks, to get to know them better and fall in love with the scoundrels and heroes we meet along the way. My books aren’t quite time travel novels. A Band of Roses, Fiery Roses, the forthcoming Salty Roses, and my recently completed young adult novel, Glancing Through the Glimmer, are alternate histories, rollicking good romantic adventures set in an Ireland that might have been. 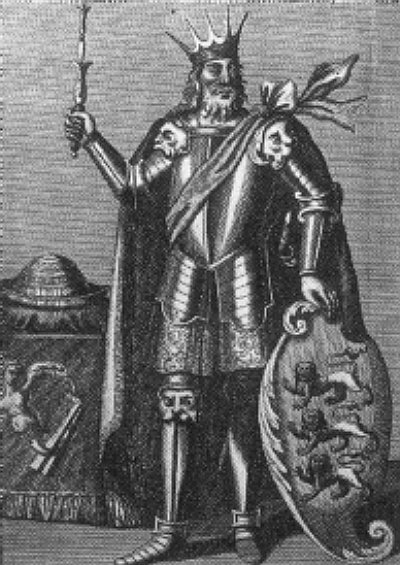 The stories are based on the premise that High King Brian Boru survived the Battle of Clontarf in 1014 A.D. and founded a rascally, royal dynasty that still rules modern Ireland. So what if I don’t live in a medieval mansion filled with portraits depicting a centuries-old family lineage? I can create one easily enough, and who knows? Perhaps some rogue of an ancestor is guiding my fingers over the keyboard as I write.